One to many times in our life, we always want to have a list of things that we will like to do before die. Most of those lists are more about visiting and discover the world.  Know more about different places and sites, cultures around the world. One of the best thing to put into your list is Middle East trip. The best plan is to just say I am going to Jordan. 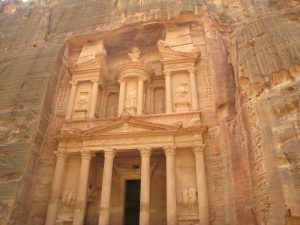 While in Jordan I would recommand take a weekend for Petra. (Petra weekend Tour). The motivation about Petra is come from a question which is, “did you know that Petra has been filmed in the Hollywood Blockbusters ‘Indiana Jones and the Last Crusade” ?. The place is very famous that you should take the tour. Petra tours grand rejoicings are timeless sights of 2000 years old capital city of the Nabatean clan. City of Petra the lost and found marvel is the symbol of Jordan excursion and for many globetrotters its starts from the amazing rock cut city. The hypnotic journey of curiosity will proceed slowly through the Siq, an elongated strait gorge leading upto the square of Khasneh, the famed monument of Petra. 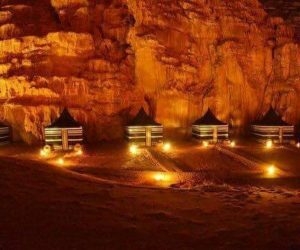 The main activites that you can do during your weekend in Petra are: Petra-AlSiq-Tour, Petra by night, Camping at Little Petra and Petra. Petra one of the most fascinating sights in Jordan. When you are in a weekend tour, from Amman you will enjoy a visit of Petra. The special and nice place to take pictures is Al Siq a long narrow gorge whose steeply rising sides all but obliterate the sun, provides a dramatic contrast with the magic to come. That will give a shape of nice picture in the shadow of caves. There you will noticed that is the main destination of every tourists. The place to have nice time and meet colonis of tourists. Go and discover the Rose Red City lost for centuries to the outside world. These are the memorable pictures that you will never forget. You will discover the world famous archaeological place. Near the Red Sea in the city of Aqaba. you will have pictures with wonderful colour of the rock. There are fantastic natural architecture from which many cities get experied and carved. You should visit Petra before you die 🙂 . This is friendly advice. Dont forget to take picture when you going to Monestry by Donkeys. You can also visit the new Museum of Petra. Life , events, shows at night in Petra complete your Red Rose city tour. Whatever your program, you should pass a night in Petra. There is the time when you can see and detect differents part of the rock city by candlelights arranged in all shapes. Some couple arrange candles to show heart to their beloved ones. You can even choose to propose for mariage there :). Then you can explore the old city, visit different group shows and events. Funy activities and I can imagine how you will enjoy taking pictures of amazing stars over the treasury. 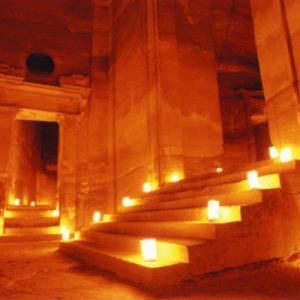 I can not forget to tell you that traditional music by candlelight in front of the treasury Building in Petra is what has been enjoyed most. Dont miss it. Petra is an enchanting place that captivates and excites the senses. Its overwhelming size, rich textures and stunning surroundings create an ambiance almost impossible to describe. Note: – Travelers visiting Petra must carry water for drinking purpose as the excessive heat can lead to dehydration or shortage of body water. Secondly, the best time to visit Petra for capturing its beauty in lens is during early morning hours or just before sunset or say early evening. Thirdly, always opt for cotton clothing, comfortable shoes, hat, and sunscreen lotion to protect self against scorching heat as well as sun burn.